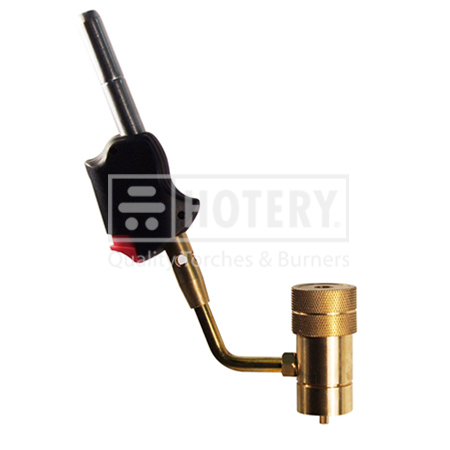 HOTERY PRODUCTS CORP. is the leading Taiwan manufacturer, supplier and exporter of Propane Blow Torch. Manufactured using high quality raw materials our products highly reliable and durable and caters to a wide range of diverse customer's requirement. We provide these products with different gradations in size and specifications customizable as per the clients' exact needs. Our range is in high demand by our client spread across the international market and can be availed at industry leading prices. 1. Piezo igniter for instant flame. 2. Stainless steel burner tubes. 4. Anti-flare: ability for operating in different angle. 6. Good for Plumbing, HVAC, Refrigeration and heating jobs.